So cute! 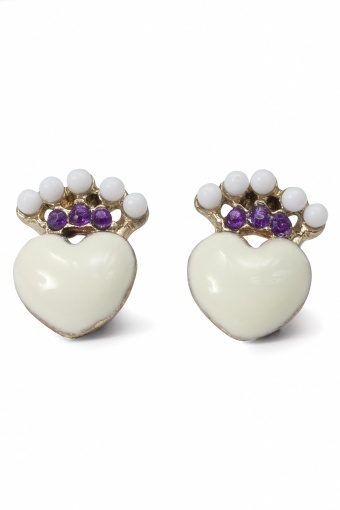 these Royal heart crown earstuds white from Paris with Love! 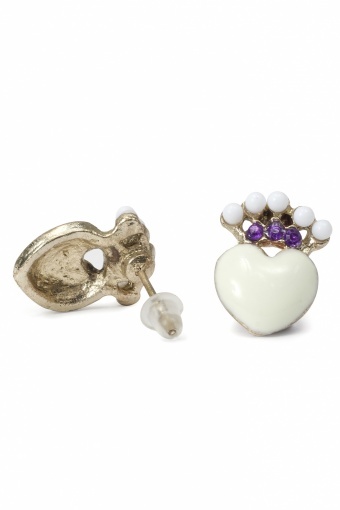 Earstuds with little white heart and crown with white faux pearls and purple strasstones made of gold tone metal with plastic back stoppers (nickelfree). 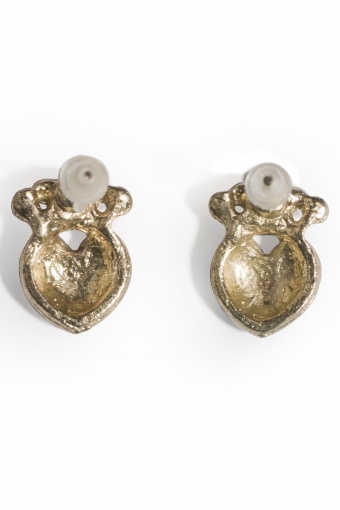 Perfect for every occassion! Also available in red and black.